Bushy’s are delighted to announce that leading insurance company Carole Nash are continuing their sponsorship of the Bushy’s Main Music Stage at this year’s TT. 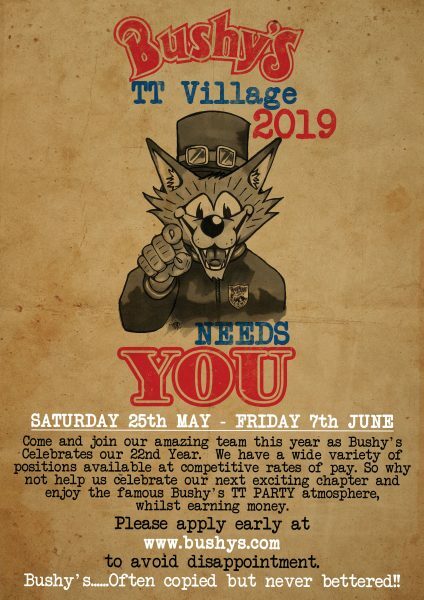 It was a highly successful partnership last year which enabled Bushy’s to up the ante and bring in the highly professional ELS light and Music stage and take the Bushy’s offering up to a new level. As with all sponsorship, the benefits allow free entertainment to TT visitors and locals, so while you’re down on the Prom tapping your feet, please keep in mind Carole Nash Insurance next time you’re up for a policy renewal!